We at Emergency Dentists offer a large selection of dental clinics to choose from for your emergency dental needs and we help you find emergency after hour dental clinics, 24-hour dentists, or walk-in dental appointments as available. Emergency Dentists USA has a hotline that connects you to an operator who can help you choose the right dentist in Chula Vista, CA for your emergency dental needs. Whether you have a lost filling or a knocked out tooth, we can help you without you having the hassle of searching through countless listings. Emergency Dentists USA helped me out when I was in immense dental pain. Their website is full of helpful information on different dental emergencies you may face and they have listings in each city of emergency dentists with hours, address, etc. Chula Vista, CA has many different options when it comes to finding an emergency dentist to handle your dental crisis. After hour clinics are open late to meet your dental emergency needs from a lost tooth to a toothache. After hour dentists are dentists that are open later in the evening than the standard. They make it easier for you to get the dental help you need when you need it. In Chula Vista, Canyon Vista Dental Group’s offices open as late as 7 pm during the week. Elite Dental Care is open all week until 6 pm, even on Saturday. There is no need to search any further, Emergency Dentists USA provides you with a comprehensive list of after hour emergency dental clinics available in Chula Vista, California area. While here, you can find the right dentist to meet your dental emergency needs and set up the appointment that works with your schedule. Description: Any California vacation can suddenly become a pain when you are faced with a steady and dull ache in your mouth! 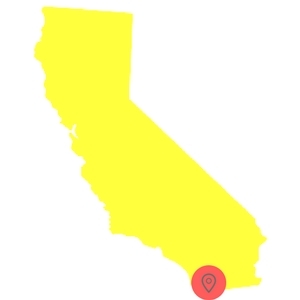 Make the decision to have the rest of your trip be pain-free, and connect with our hotline today to find the best emergency dentist for you in the Chula Vista area. Description: Elite Dental Care in Chula Vista is a great choice for your entire family when you have needs in the dental realm that need servicing. This clinic is open for you convenience weekdays until 6 PM, and on Saturdays from 10 AM until 6 PM. You may need help with an extraction, root canal, or routine servicing; this clinic can help you with all of them when you are under pressure. Description: Canyon Vista Dental Group is located on Otay Lakes Rd in Chula Vista, and is an excellent location for your entire family to get their dental needs in check. They are open for your convenience on Saturdays from 8 AM until 3 PM, and stay open late on Tuesdays and Thursdays until 7 PM. This is the place to go for issues such as standard checkups, root canal therapy, and routine cleanings. Description: It is not always easy to find a dentist open on Saturday in Chula Vista, CA or anywhere for that matter, but this dentist is willing to make exceptions if there is a medical/dental crisis that needs urgent attention. Dr. Real is particularly skilled in all aspects within the field of dentistry with a focus on keeping your smile radiant and if it is an emergency situation, managing your pain with timeliness is top of mind. Description: No matter the time of year or day or hour, this walk in dentist in Chula Vista, CA is very well prepared to handle your dental weekend or weeknight emergencies. 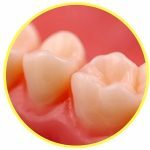 Dr. Halabo is a local dentist who utilizes the latest technologies and techniques to create beautiful smiles. Being a strong practitioner of modern dentistry techniques and the employment of state of the art equipment, Dr. Halabo delivers high-quality dental services each day. An Emergency Dentist in Chula Vista, California is much like visiting your regular dentist. The emergency dental clinic is there to provide routine services such as fillings, x-rays, and cleanings and they are also able to provide more extensive services such as abscess treatments and tooth extractions. It is helpful if you arrive at least 15 minutes before your scheduled dental appointment. This allows you the time necessary to fill out any forms that the emergency dentist has for you. 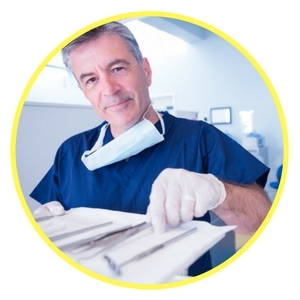 It also gives you the opportunity to ask any questions about your upcoming procedure. Have on-hand your most recent dental x-rays and records when you visit your emergency dentist. It is important to have your identification and dental insurance cards ready as well. Most dental offices take all forms of credit cards, but there are some that do not. If you are considering a personal check as payment, be sure to ask first as many do not accept them. Please inform your emergency dentist if you have any allergies before your appointment. Bring a list of all your current medications and supplements so that the dentist is aware of any possible medication interactions. There are many different dental emergencies that can make your visit to Chula Vista a painful experience. Those emergencies should be treated quickly by a Chula Vista emergency dentist you can find listed on Emergency Dentists USA. Common 24-hour dental emergencies might include things such as a lost crown, a cracked tooth, or even a toothache. An abscess can lead to serious health problems. It is important that you see your dentist as soon as possible should you find a pimple-like bump on your gum. In most instances, the bump is painful. 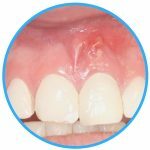 An abscess is an infection that happens at the root of a tooth or between the teeth and gums. To ease the pain of an abscess you can rinse your mouth with a mild salt water solution made of 1/2 teaspoon of table salt mixed with 8 ounces of water several times a day. Soft-tissue injuries are a common occurrence and can be quite painful. 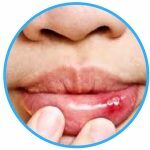 A soft-tissue injury is any injury that occurs to the cheeks, gums, tongue, or lips that cause bleeding. It is important to control the bleeding. In order to do that rinse your mouth with a mild salt-water solution and apply a moistened piece of gauze to the bleeding area for 15 minutes. A cold compress applied to the outside of the affected area for 5 to 10 minutes can help relieve pain and control bleeding. A lost filling can be disconcerting and painful. Rinse your mouth with a warm mild saltwater solution and place a piece of sugarless gum into the cavity. Over-the-counter dental cement can be found to fill the cavity in many stores. Do not use regular gum that contains sugar as this can cause pain. An emergency tooth extraction may be necessary when the tooth cannot be repaired due to a tooth infection which has been left untreated for too long or a severe tooth injury that cannot be repaired. It is important to have to tooth extracted as soon as possible as the longer the tooth remains more serious problems can arise. Your Chula Vista emergency dentist will take an x-ray of the affected area and do an examination to determine the course of action. The tooth will be removed either under local anesthetic or a general anesthetic. A local anesthetic numbs the area around the tooth while a general anesthetic relaxes you and allows you to sleep through the procedure. The dentist then removes the tooth by the root from the gum. A piece of gauze is then placed in the socket to control the bleeding. Avoid eating hard or sticky foods or using a straw during the first 24 hours after extraction. Limit any strenuous activity for 24 hours after the extraction to help the blood clot stay in place and reduce pain. Do not brush the teeth close to the extracted area for the rest of that day. After the first day, start gently rinsing your mouth with warm salt water to keep food from the extraction site. Follow the directions for any medication given and take as directed. You want to go to the ER especially if your dental emergency is caused by an accident or injury that may have damaged other parts of the body. The emergency room physician is there to provide emergency treatment for your injuries and can give you the necessary pain medication and/or antibiotics necessary to help your dental emergency. The physician is not a dentist though, and in most instances, they will direct you to a Chula Vista emergency dentist following your ER care. Understand that you will be charged for your ER visit and any follow-up visits to your Chula Vista emergency dentist. Contact your emergency dentist for any dental emergencies like toothaches, lost fillings, or broken crowns. Always check with the local dental society to be certain that the dentist of your choice is certified and licensed in Chula Vista. Check the American Dental Association website for licensing. You can also find certification and licensing information on the San Diego County Dental Society website. These websites offer information in regards to Chula Vista dental clinics and are there to help you make an informed decision.